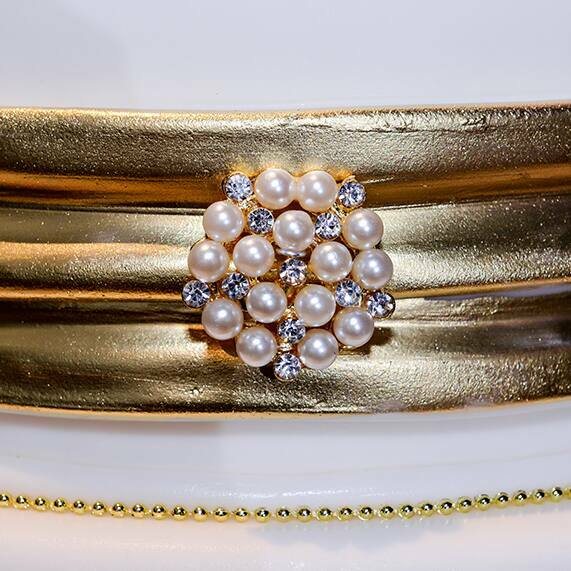 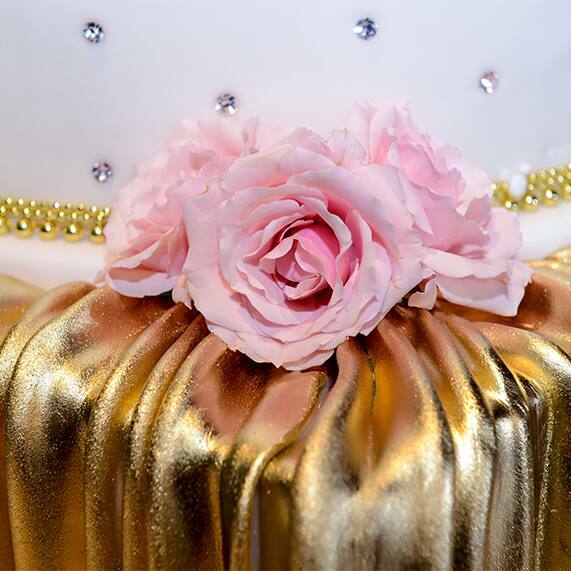 Join me for a pink and gold soiree on today's Wedding Cake Wednesday! 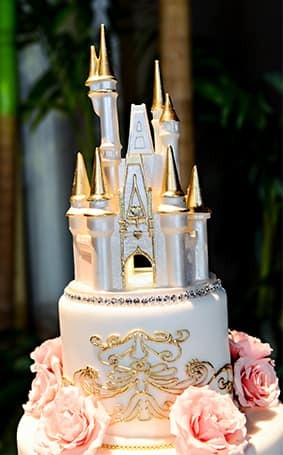 This four-tier chic and stylish Walt Disney World wedding cake added major wow factor to the dessert table which also served as the reception focal point. 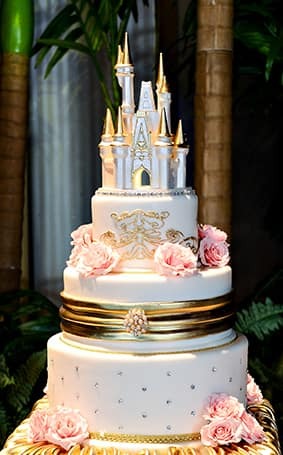 Of course no fairy tale is complete without a grand finale, so the couple opted for a Cinderella Castle cake topper to add a subtle yet nostalgic touch of Disney.